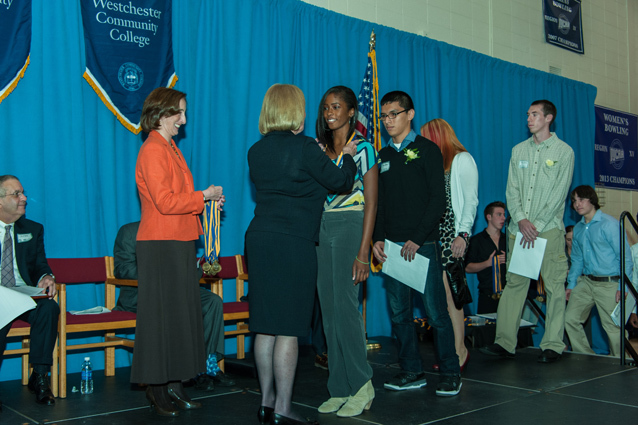 During the second week of October, all scholarship recipients attend the Scholarship Awards Ceremony, held in the Theatre of the Academic Arts Building on Westchester Community College’s Valhalla campus. This joyous occasion is a time for the donors, scholarship recipients, faculty/staff, family, and friends to come together to recognize the achievements of the students and to thank the donors for their philanthropy. Our scholarship donors include private individuals, local businesses, corporations and foundations—all of whom are committed to making an education affordable for Westchester Community College students.